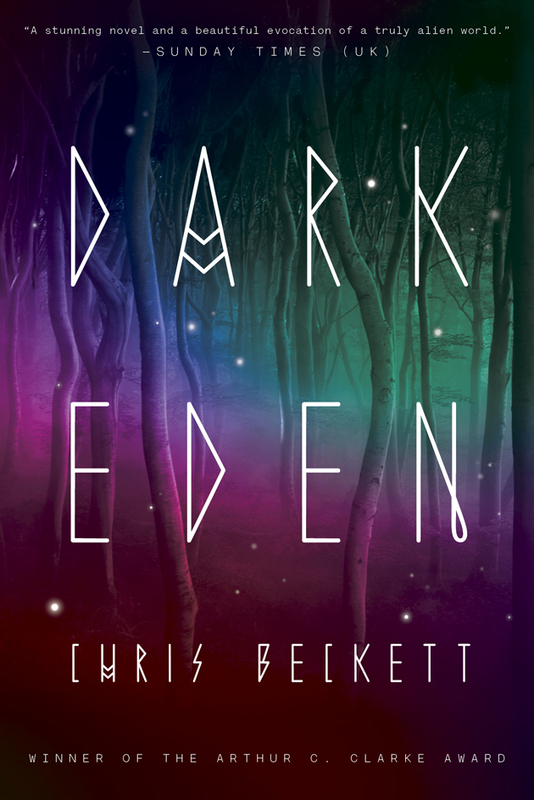 The Family lives on a planet of darkness, where the only light comes from the warm luminescence of the native plants and animals, and the untouchable glow of Starry Swirl high above. Long ago, two travelers were stranded here, and generations later, their descendants are still waiting for rescue, content to live their small, orderly lives and wait obediently to be spirited away to the near-mythical homeland that none of them has ever seen: Earth. But as food becomes scarce and the stagnant rituals of Family life seem more and more stifling, restless young John Redlantern can’t stop thinking about what could be out there beyond the cold mountains that ring their little valley. Gradually, grudgingly, he nudges his people’s awareness out of its long complacency, opening up minds and hearts to dangerous ideas and daring possibilities, setting in motion a momentous chain of events that will change the Family for good. 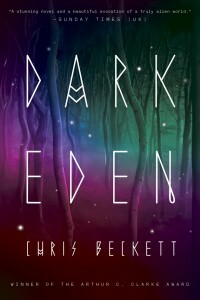 With inventive language and interesting characters, “Dark Eden” is a compelling and thought-provoking tale of human survival in a starkly non-human world. The planet of Eden is a simply gorgeous construction, an exotic nightworld both beautiful and terrifying. The half-understood customs of the Family’s Earth heritage have been transformed in unexpected ways by this alien place. But their desires and hopes, their impulses and their regrets remain unmistakably human, in ways that echo through the centuries to another long-ago Eden. There’s a deep shadow of sadness and loss, even a tinge of futility, overlying the story of these lonely castaways. Yet it’s countered by a growing flame of potential and promise. The reader can’t help but root for the Family to win its fight for survival — even, and perhaps especially, against those dangers that come from within.